Welkom bij Black Friday: Awin Live updates, je one-stop-shop voor alle affiliate gerelateerde zaken op de waarschijnlijk grootste dag van de shoppingkalender. Beleef samen met Awin de Black Friday in de Benelux en andere regio's en lees de inzichten en ontwikkelingen uit de affiliate-industrie. Vergeet ook niet onze dynamische infographic voor actuele netwerktrends te bekijken. 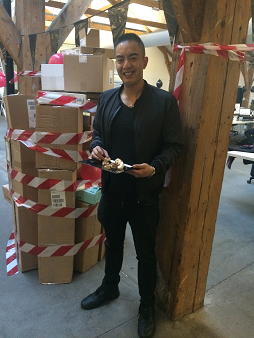 16:26 Energy boost tip Awin Publisher Manager Sang Bui, shared some of his favourite meals to get through a busy day such as Black Friday. He knows from experience that you have got to be creative with your food choices in order to prevent an afternoon slump and stay full of energy. Fresh sausage roll from the baker topped with your favorite chili sauce. A bag of chocolate kruidnoten and only eat white ones so you have some diversity. Coca Cola Zero so you avoid consuming extra calories. Let us know if this list has helped you to get through the day! Certain European markets who have proved resistent to fully embracing Black Friday have piled on the numbers in 2017. 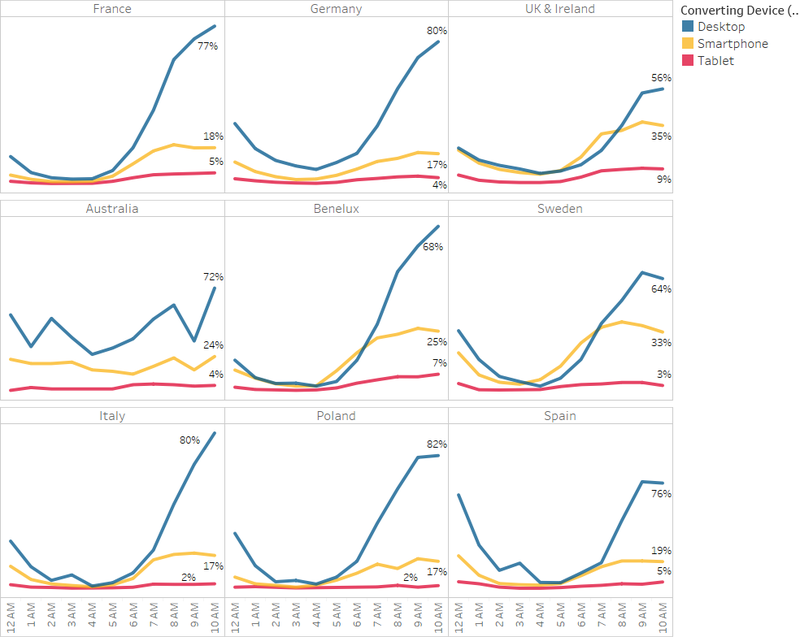 France, The Netherlands and Sweden have all witnessed significant sales' surges. The UK's performance has been far more muted. Possibly indicative of the UK's adoption of Black Friday earlier and very probably because of the surge of offers up to a month in advance, has resulted in single figure growth this morning. The event is still huge, so context is everything. Smartphones have continued to surge. While desktop remains the largest driver of sales, in the UK handsets pulled in more sales for three hours this morning. 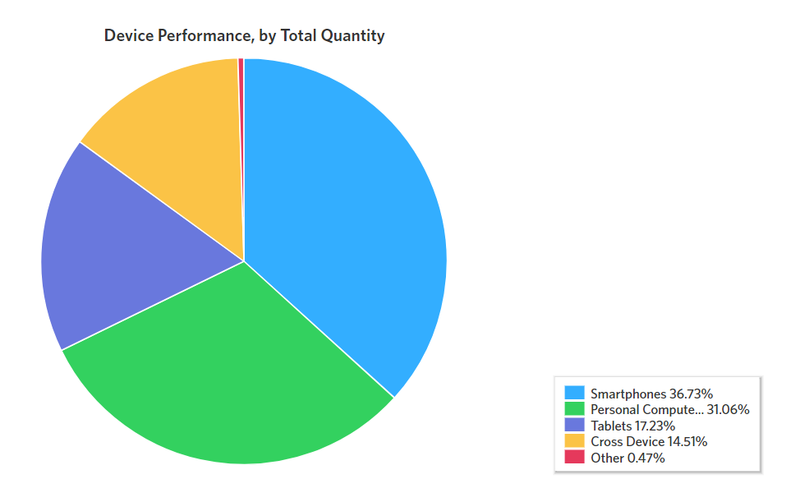 Overall smartphone sales are up by around one-third. The usual big brand suspects have continued to pile on the sales. 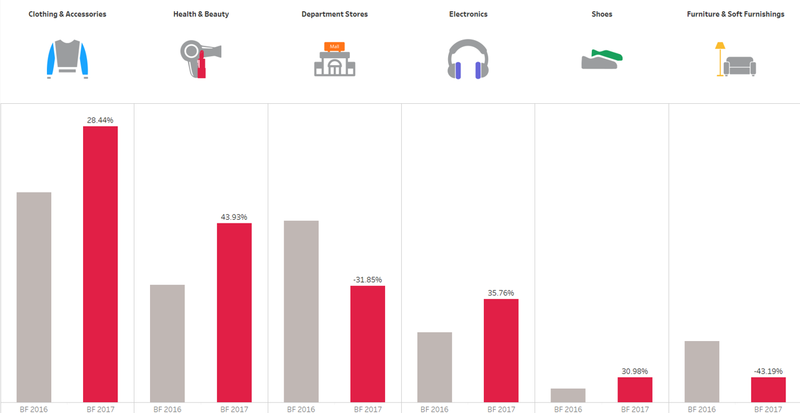 From a sector perspective, clothing and accessories is the largest driver of sales, followed by health and beauty and department stores. The first two categories have seen growth in market share while department stores have dropped back. UK consumers appear to have been relatively indifferent at midnight, again possibly because many offers and deals were already live. 13:57: The importance of next generation, cross-device tracking. LookFantastic, Currys and Tesco are leading the way as far as sales are concerned across the network this year. Will these three manage to retain the top positions by the end of the day? 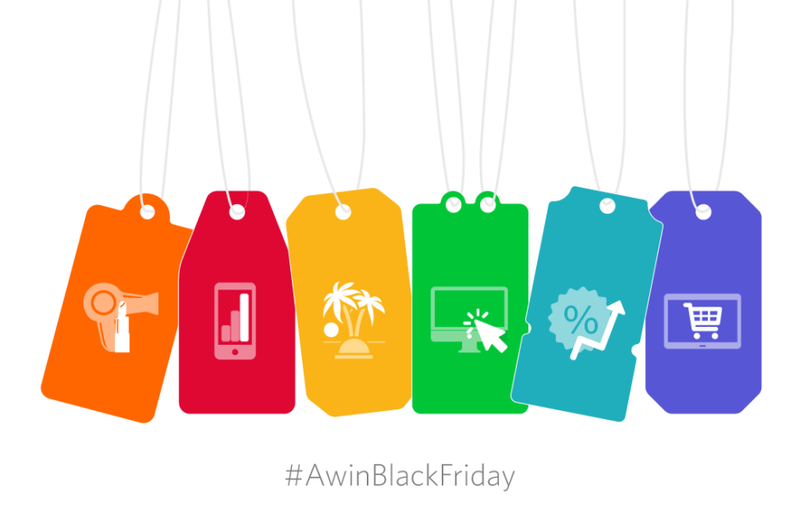 Looking at Awin's global markets so far today, the top three markets for Black Friday sales growth year-on-year have been Sweden (+70%), France (+42%), Benelux (+39%). The first overall numbers for the day are in and we're seeing positive year-on-year growth. We'll bring you some more granular detail over the next couple of hours but the first data is showing sales up just shy of 20% across the whole network. 09:45: Some of the most interesting stats that emerge in the first few hours of the day are around mobile as people search at midnight from their smartphones and on the way to work in the morning. Factoring in certain advertisers, such as fast fashion brands including Missguided and Boohoo, whose natural demographic is mobile first, and a powerful smartphone story emerges. 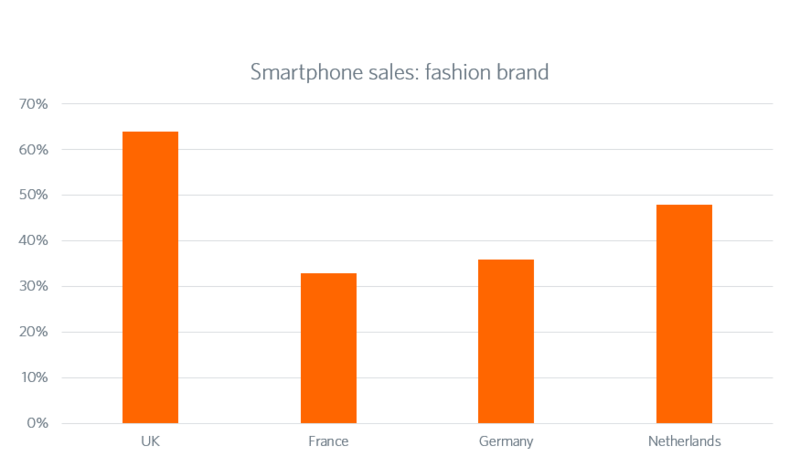 Looking at one of our key fast fashion brands we can see that 64% of their sales so far today are tracking through handsets, dwarfing desktop at just 23%. Our first global stats of the day show that smartphones are trending up 30% in sales, as they continue their march to overtake desktop transactions. That's highly unlikely this year but we will be keeping an eye on some specific smartphone skewed advertisers to see where the mobile hotspots are.